A new study has shown that several areas of the UK are currently without ATMs, with incoming changes likely to make matters even worse. Currently there are over 100 rural locations around the country which are deemed to be “cash point deserts”. In a study by Which? it was found that a total of 123 different postcode areas did not have access to ATMs, affecting a total of 111,935 people. According to Which?, new plans announced by ATM operator Link could create “mass closures” of no-charge cash machines. Link plans to decrease the amount that is paid to the suppliers of ATMs by around 20% over the next four years. Many have claimed that this move will lead to massive reductions in the number of cash machines available, with some thinking that as many as one in five will be vanishing from high streets during the next four years. Gareth Shaw of Which? said, "Link's proposals could place a strain on communities across the UK that are already struggling to access the cash they need following mass [High Street] bank closures. "The financial regulator must intervene to avoid this situation getting worse." Link responded to the claims, with Chief executive John Howells pointing to the UK’s already extensive network of free to use cash machines. He said, "The UK has one of the largest free-to-use ATM networks anywhere in the world, and the number of free ATMs is at an all-time high and rising. "We welcome the research produced by Which? and will review all of the areas that it has identified and take action if there is inadequate free ATM provision." Mike Cherry of the Federation of Small Businesses raised concerns related to the possible effect that reduced ATM access could have on small businesses. 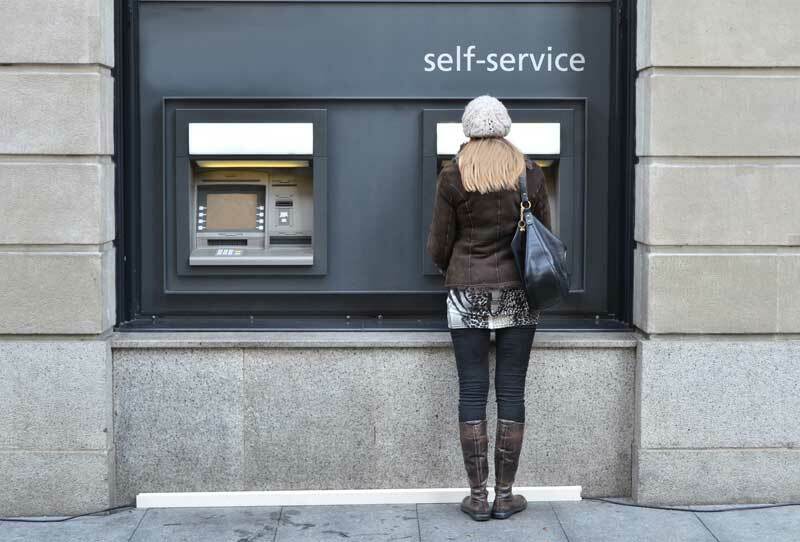 He said: “this new research shows that the UK’s cash machine network is already failing small businesses, particularly in rural areas and tourist hotspots where cashflow is absolutely vital to local growth. If funding for cashpoint providers is cut, things could rapidly go from bad to worse. “What’s really worrying about LINK’s proposals is that it’s the cash machine providers with a majority share of the remote ATM market that are most concerned about a potential drop in funding. As is so often the case, it will be rural small businesses that are hit hardest by inadequate investment."